Absolutely. All options and forms of education should be on the table. 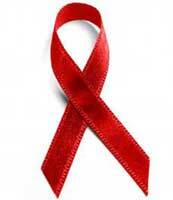 Did you read Obama's speech last Friday onn World AIDS Day at Rick Warren's church? He laid out several ideas and ways to get involved to push the crisis in the right direction. Jeff, I'm very interested to read that speech, but blogger has cut off half of your link, could you repost on a couple lines? all of those ideas mentioned so far though haven't really been working, i'm curious to see if any of us can think of any new 'tipping' idea, as far-fetched as it seems.